Anémic Cinéma Film Series Presents: "Daisies (Sedmikrásky)"
Please join us this evening at 8pm for the second feature of our Anémic Cinéma Film Series. Daisies (1966) is a Czech New Wave film directed by Vera Chytilov. This is a potluck, bring snacks and drinks to share with your film friends!!! We feel very fortunate to have wonderful group of folks that join us every Wednesday evening from 6:30 - 8:30pm with teacher Rebecca Carter. Our open media class will continue next semester and a new beginning drawing class will be added as well. Beaches, rainbows, camp fires, and sunshine are drifting through the doors at Oil and Cotton. Register for kid's spring and summer art camps here. This weekend we hosted our first Shibori dying workshop. Our teacher, Lizzy Wetzel prepared an Indigo dye vat and introduced students to the rich history of the plant and dying techniques. 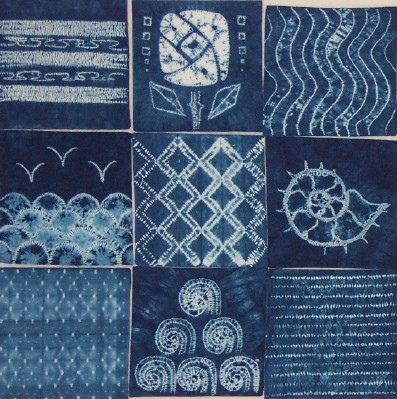 Students used stitching and binding techniques to create a dye resist that resulted in complex patterns of a rich blue and white. Look for additional fiber arts workshops this spring and summer. We have been fortunate to share our space with lovely friends and families for celebrations and coming together. Stacy and Chris drove in from Austin and hosted a shower in anticipation of their new baby. Friends dangled a crystal and wedding rings above her belly to determine if it was a boy or GIRL! Believe it or not, high school seniors are already throwing graduation parties. This group of lovely young ladies worked on a scrap book commemorating their shared history and friendship. This birthday party included a sewing project. Children learned basic embroidery stitches in between cake and presents. 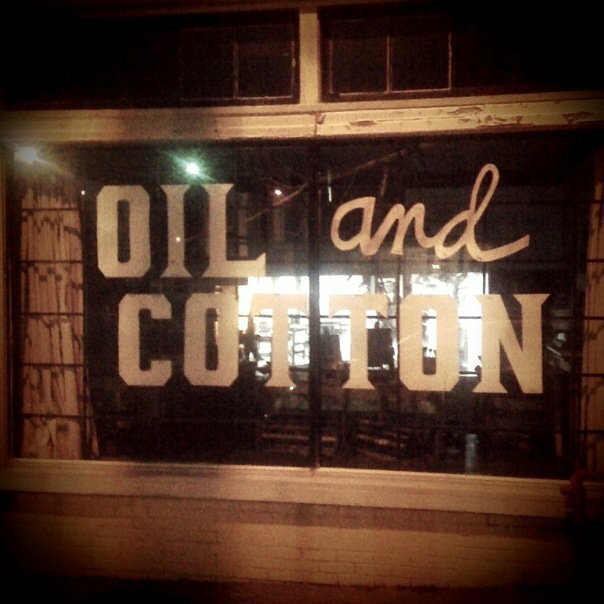 Visit the Oil and Cotton website for more information about booking an event. Our weekly students are studying the history of cave art. 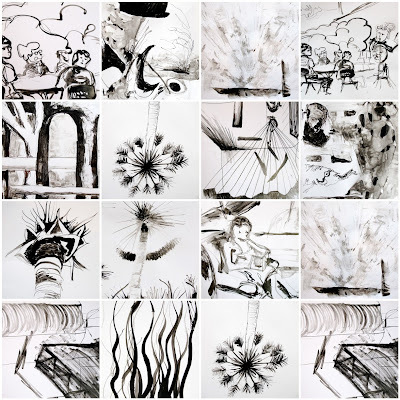 The children distilled animal forms into simple shapes and used media ranging from pastel, soft soy-based crayons, clay rocks, the ends of charred twigs, and diluted tempera to decorate their caves. Charring sticks to use as drawing tools. 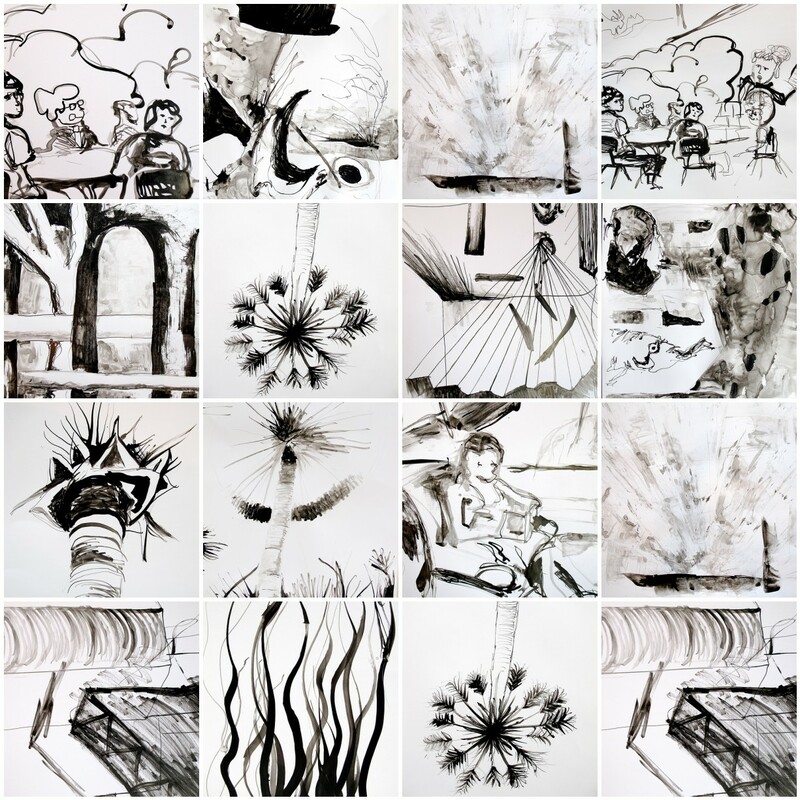 Visit our website to register for up coming art classes, art camps and workshops for kids. SHIBORI DYING - Fiber Arts Series and BRUNCH! If you missed our Capricorn Tie Dye party, here is your opportunity to learn the ancient tradition of Shibori dying. Shibori is a Japanese term for several methods of dyeing cloth with a pattern by binding, stitching, folding, twisting, compressing it, or capping. Some of these methods are known in the West as tie-dye. Students will dye a silk scarf with intricate or simple patterns using a dark beautiful blue dye. A light brunch and mimosas will be provided. Please Register online here. Look for additional offerings in our Spring fiber arts series, COMING SOON! We enjoyed sharing brunch, mimosas and crocheting with a talented bunch and super teacher before the snow hit. 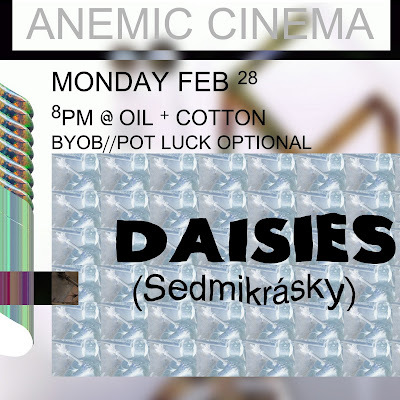 The Anémic Cinéma Film Series is an ongoing community event occuring on the last Monday of every month. View films selected by our friend, Miss Sally Glass. Join us on February 28th at 8pm for our next feature, Daisies (1966), a Czech New Wave film directed by Vera Chytilov.